2015 was a very busy year for Techsoft. As is the ‘norm’ when the year ends, we have been looking back at some of the mainstays and breakthroughs of our product range. Traditional stalwarts of the CADCAM range, such as the LaserCAMs, the RotoCAMM MDX-40A CNC miller and the CAMM 1 knife cutter have been busy creating innovative designs in Design & Technology departments up and down the county. 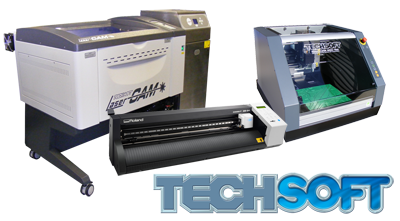 TechSoft's Stalwart machines the LaserCAM, the RotoCAMM MDX40A and the CAMM 1 have been busy creating innovative designs in Design & Technology departments up and down the country. There was a time that ‘budget’ 3d printing required tape and messy glue to start producing a part. The new Robox printer removes any need for this with its very own heated bed. It has some smart features like an auto-levelling print head and a print bed that requires no extra help to keep prints firmly stuck to its surface. With its user-friendly Automaker software, you’ll soon be outputting professional parts in PLA or ABS. Pensa Labs DIWire is a small machine that bends wire into elaborate shapes by following simple vector drawings. The bent wires can then be assembled to make just about any 3D structure. 2015 saw a number of DIWires making their way into schools and colleges, allowing teachers, and students alike, to create creative wire designs. With compatible output from 2D Design, and the additional possibility of soldering and clipping parts together – we hope 2016 will see even more creative approaches to metal based product design. Roland VersaCAMM offered schools the chance to turn their Design & Technology departments into print and cut studios. A modern print shop will use the VersaCAMM to batch-produce self adhesive stickers, labels, point of sale displays, floor graphics, signage and heat transfer images for interior decoration and garments. The VersaCAMM has so many uses that the modern printer couldn’t live without one. And with budgets at schools in mind, the ability to print banners, posters, photographs or digital artwork, has huge potential for improving the quality and scale of school/ college displays, signage and promotional material.  And all of this can be done ‘inhouse’. Roland SRM-20E is a friendly, safe and simple machine to use which makes it ideal to introduce genuine CAD/CAM milling to primary pupils as well as secondary. We have developed our 2D Primary software to output directly to SRM-20E. Individual pupils or small groups can now machine their own badges, puzzles or moulds with unprecedented accuracy. They will be learning about modern production methods and gaining experience with a real computer control system. Built for where space is at a premium, the smaller RouterCAM was introduced. The machines are built for continuous commercial production, so are more than tough enough to stand the rigours of educational use. A quality/capacity/price comparison reveals that these machines also represent exceptional value for money. And finally, TechSoft Textiles went from strength to strength inspiring new ways of delivering product design. Not just sewing and embroidery, but dye sublimation, knife cutting, laser cutting and e-Textiles to mention a few. TechSoft are excited about what lies ahead in 2016! We anticipate the unveiling of even more machines; the development of more of our renowned ‘Training Packs’, the further progression of 3D printing, our ever consistent laser technology, and more educational ideas to help and inspire both teachers and students alike! Happy New Year from everyone at TechSoft! For general enquiries please contact: sales@techsoft.co.uk or call 01745 535007.